Some people will wonder why I’m bothering to write this up, but the truth is, there are LOADS of older PIX firewalls out there in the wild, and all the PIX 501’s and 506E’s that are being retired from corporate use are being bought on ebay, or being put on IT departments test benches. This page deals with PIX version 6 if you are upgrading to version 7 or above,then you need to be on a PIX 515E (or a 525/535) and DO NOT follow these instructions, CLICK HERE. The “Smaller” PIX firewalls (501 and 506E) can only be upgraded to version 6.3(5) and the PDM can only be upgraded to 3.0(4). 1. Before you do anything you will need a TFTP server and have it set up accordingly, for instructions CLICK HERE. 2. I suggest you backup your firewall configuration also, for instructions CLICK HERE. 3. You need to be able to get the Image and PDM versions from Cisco, you will need a valid support contract to be eligible for updates. 4. 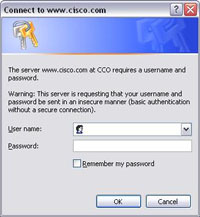 You will need a CCO Login to the Cisco Site (this is free to set up CLICK HERE. Remember a CCO login is free of charge and simple to set up but to download software you need a valid Cisco contract or SmartNet. 3. For this example I’m upgrading a PIX 501 so I’m going to need a system image and a PDM file. 4. 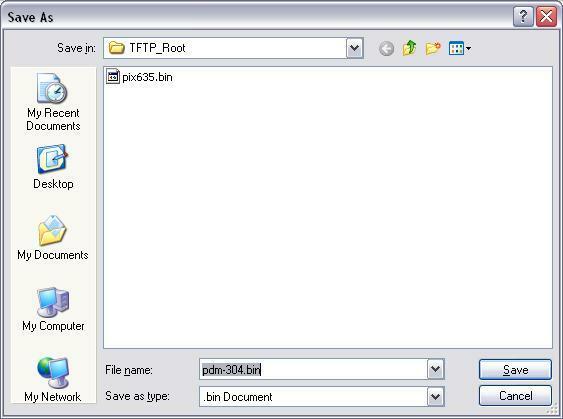 Download the files above and put then in your TFTP server root directory, then start your TFTP Server. 5. Log into your PIX firewall via the console cable, Telnet, or SSH, then enter enable mode, supply the firewall with the enable password. 7. You will need to give it the IP address of your TFTP server and the name of the image file to copy over. 8. You will be asked to confirm, do so by typing yes and pressing enter, the file will then upload and the old image file will be erased from the firewalls memory. 9. The quickest way to load the new image into memory is to restart the firewall do this with a reload command, then press enter to confirm. 10 After the firewall has restarted log in, enter enable mode and issue a “show version” command, and you will see the new version displayed. 1. The procedure for upgrading the PDM is almost identical, again have the new PDM image on your TFTP server’s root directory, and the TFTP server running. Log into your PIX firewall via the console cable, Telnet or SSH, then enter enable mode, and then supply the firewall with the enable password. 3. You will need to give it the IP address of your TFTP server and the name of the file to copy over. 4. You will be asked to confirm, do so by typing yes and pressing enter, the file will then upload and the old pdm file will be erased from the firewalls memory. 5. Unlike an Image file a PDM upgrade does not require a reboot you can check its worked straight away by issuing a show version command. 6. View of both files being copied out from your TFTP Server. 7. All done! – Time for a coffee – just make sure everything is up and working.